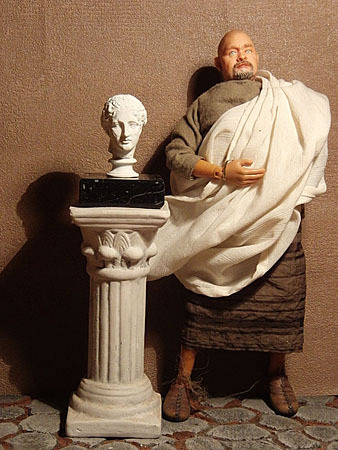 I found the Lupa Capitolina in 1/6 scale on Ebay. I removed the twins, because they were an addition of the Renaissance. 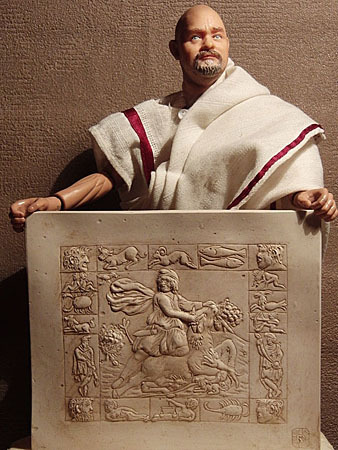 Until recently it was widely acknowledged that the statue was an Etruscan work dating from the 5th Century BC. 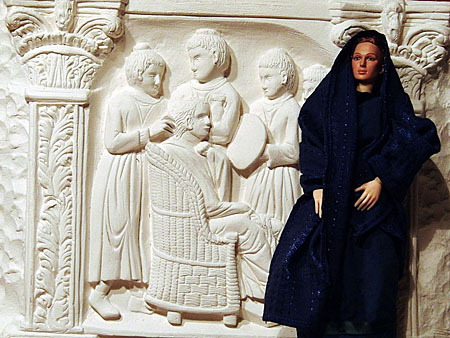 New research results gave a very precise indication that the statue was manufactured in the 13th Century. Nevertheless I will use the statue. 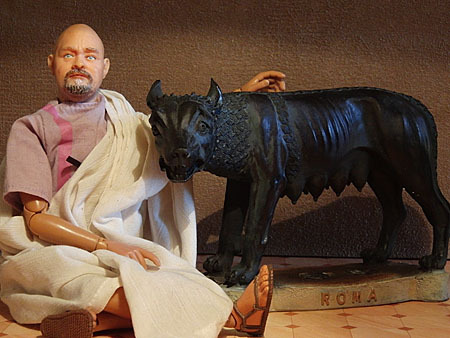 Cicero mentions a statue of the she-wolf as one of a number of sacred objects on the Capitoline that had been inauspiciously struck by lightning in the year 65 BC. 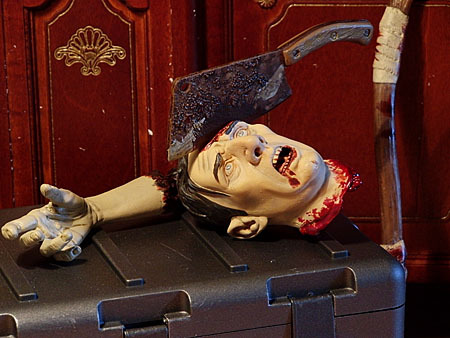 I found this head on a toy fair in Cologne. Doesn’t she look a bit like Agrippina Minor? The column is a candleholder. It was a present from Husy Husemeyer. 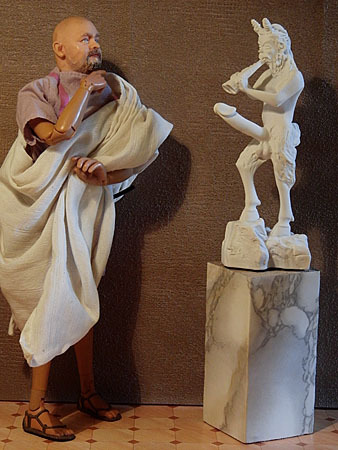 I found this little Satyr on Ebay a couple of month ago. 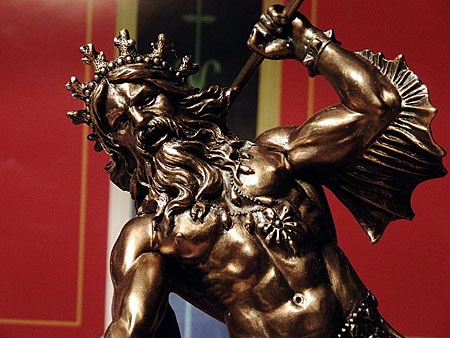 another ebay find: a Poseidon/Neptune statue. Comments Off	| posted in Memento Mori, Props, Rome, What's new? A little Venus home altar. 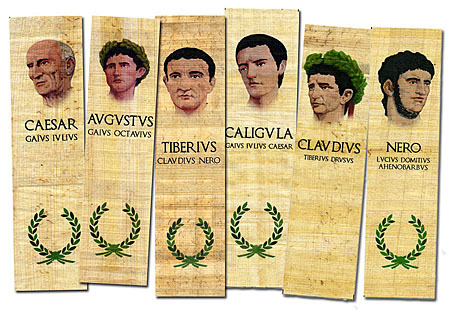 some papyrus book marks showing the Julio-Claudian dynasty. I think they will look nice as a wall decoration. 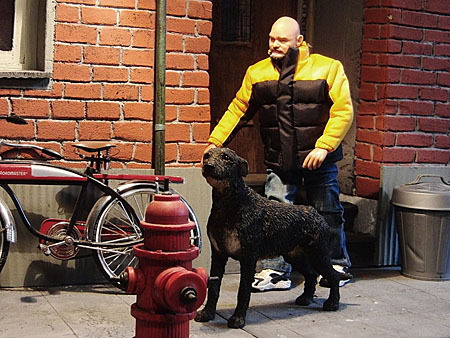 2 comments	| posted in Memento Mori, Props, Rome, What's new? The 1 / 6 Girls felt that a girl can never have enough shoes. 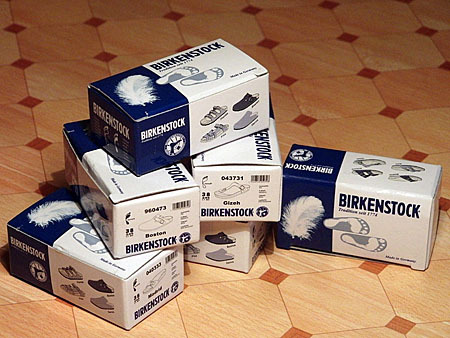 Now here is a little review of the Birkenstock sandals from Bandai. The range includes 6 models. You’ll get them as a set of 6, but you can order a single pair as well. I ordered on ebay in Hong Kong. The set took me € 16.71 plus 5.81 shipping. 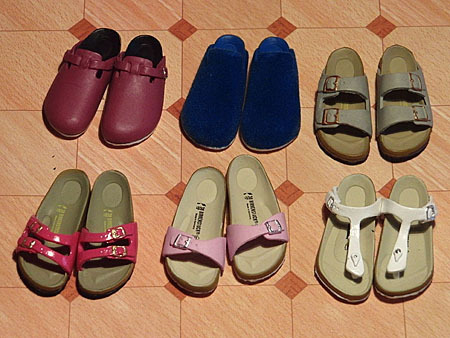 A very good price performance ratio for 6 pairs of sandals I think. I’m really impressed by the richness of detail. 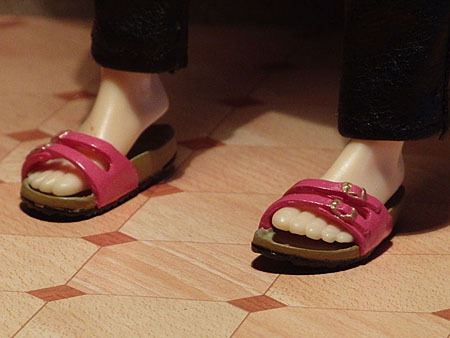 The foot bed, the label, the sole, everything exactly matches with the 1 / 1 models. 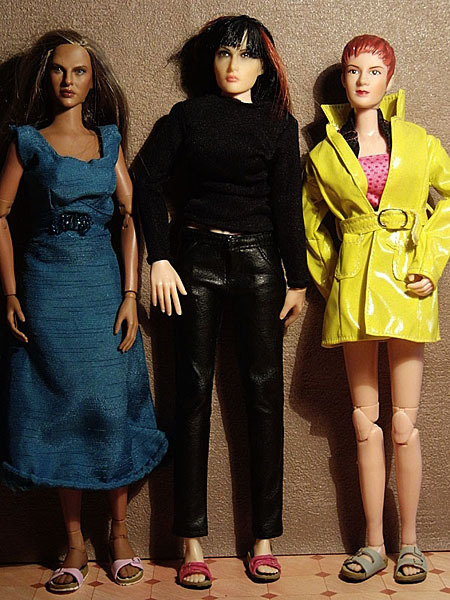 As in the 1 /1 world the sixthscale ladies have different sized feet. 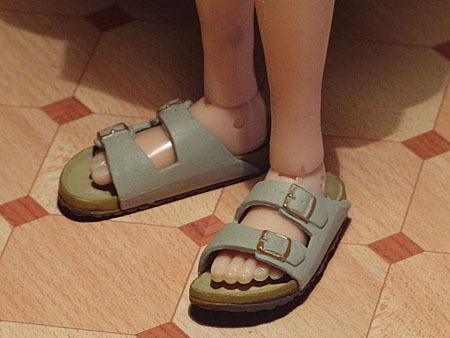 The girls from Triad Toys Otaku have too big feet. They definitely don’t fit them. All in all the sandals are rather small and cramped. 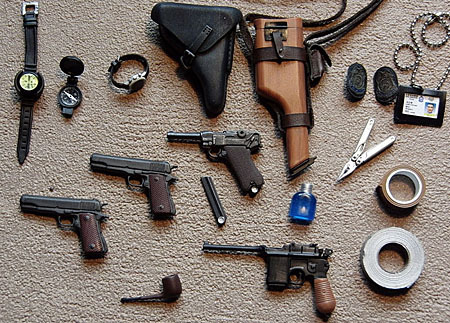 That’s no problem, if you want to use them only as a part of decoration in a diorama. 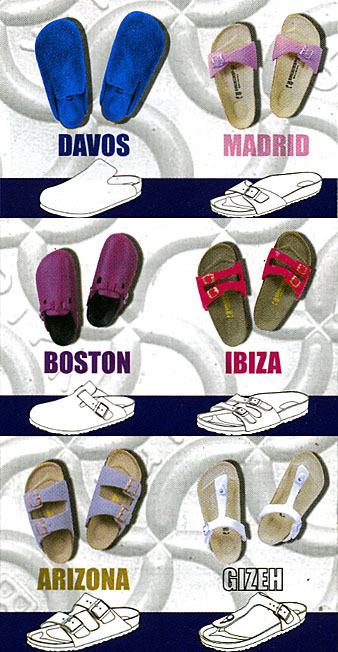 But let’s see, who can wear which sandals. Universally applicable is the “Madrid” model. This fits almost all standard types such as Cy Girls, S1-Triad Toys and Hot Toys. A little more difficult it is already the model “Ibiza” It needs a slim foot. They fit easily ZC Girl Eve. “Arizona” needs an even smaller foot. The length is okay, but they are too tight around the foot to get into it. They can be worn by female Dragon figures. All other models do not fit first. 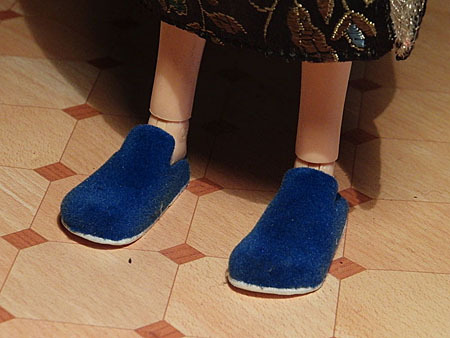 Unless the figure has really small feet, like The Obitsu figures. Then you can also make these models suitable. 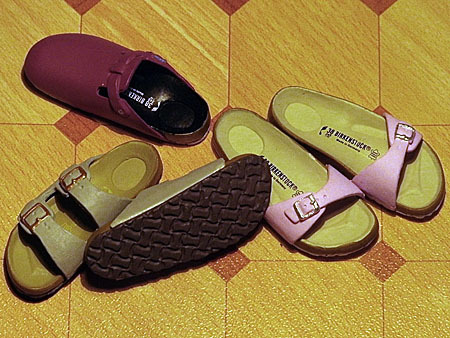 The model “Gizeh” has a toe strap like flip-flops and therefore they are only good as a prop in the decoration. 1 comment	| posted in Props, What's new? Here are some pictures of my 1/6 scale Lamborghini Gallardo. I found it on ebay. 1 comment	| posted in Vehicles, What's new? Yesterday I went with Andre (McGee) to the Actionfigurado in Duiven. It was nice as always to meet the folks from blogs ‘n’ boards. And as always I spend more money than actually planed. Here’s what I brought home from Duiven: The DID Writing Table, a M4 Case from GoGoGo, (I’ll use this one as a stage case) The Bits & Pieces Set from Shrunken Head Studios and a Phicen Seamless Body. Comments Off	| posted in Events, Furniture, Props, What's new? Ancient wood cuts and writings have placed them in existence as a breed by 273 BC. However there is indication that they existed even as early as 600 BC when the Tectosages and Tolistobogii Celts sacked Delphi. Survivors left accounts of the fierce Celts and the huge dogs who fought with them and at their side. 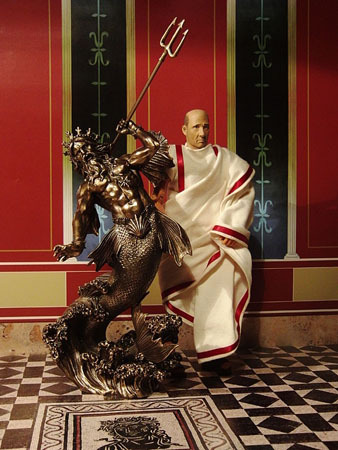 They were mentioned by Julius Caesar in his treatise, The Gallic Wars, and by 391 BC, they were written about by Roman Consul, Quintus Aurelius, who received seven of them as a gift to be used for fighting lions, bears, that in his words, “all Rome viewed with wonder”. Comments Off	| posted in Animals, Memento Mori, What's new? Today I went shopping, looking for material for the Rome project. By sheer chance I found this dino for a nice price. 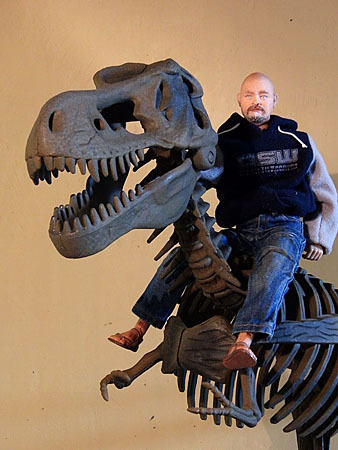 The bones will look good in a desert diorama I think. 3 comments	| posted in Animals, What's new? 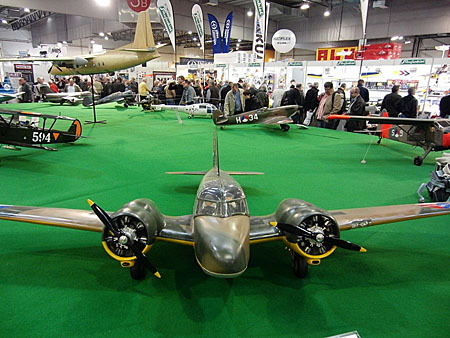 On Wednesday I visited the Intermodellbau in Dortmund. It was the same like the last years The same exhibitors showing the same exhibits. If you haven’t been there before, it’s really worth to visit the fair. It’s impressive to see all the dioramas and vehicles. But if you know the fair, it’s enough to visit it every couple of years. And you won’t find a lot of 1:6 stuff there. There are only a few figure dealers around, but anyway I found some small props. Comments Off	| posted in Events, What's new? 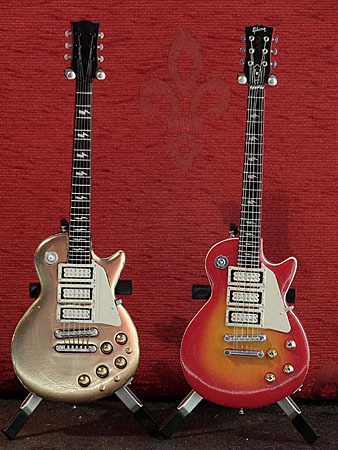 The guitars are copies of the Resaurus PickUps released in 2000. Yankee from the AFD-board bought a set and gave me the two Gibsons as a present. I wasn’t happy with the blue-yellow spraying of the Les Paul, so I changed it into a Les Paul Gold-Top. 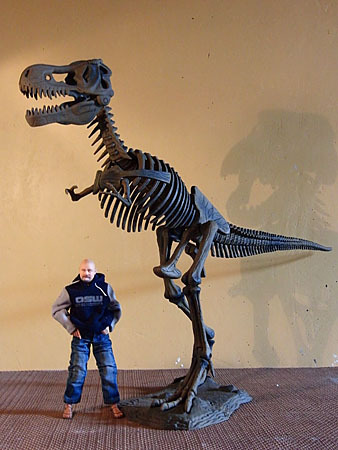 On the right side you can see the original Resaurus guitar for comparison. 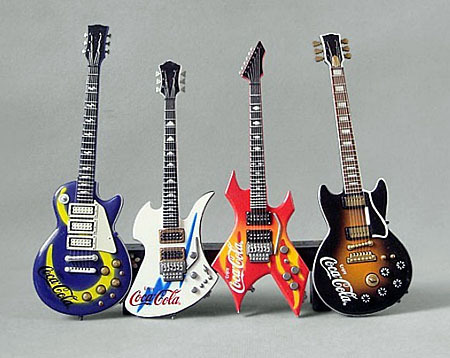 Coke did some little changes on the guitar, probably to avoid license problems, I guess. 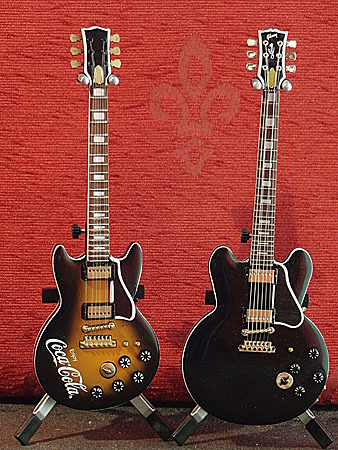 The second guitar has a similarity with the Gibson/Epiphone B.B. King Lucille, but the body is thinner, more like a Les Paul Double Cutaway, but symetric. The quality does not reach the Resaurus line, but 15 Euro for a set of four is an unbeatable price. 3 comments	| posted in Music Instruments, What's new? I can’t show the props I bought for the figure competition, because the figures will be published anonymously and showing some props would be a bad spoiler. 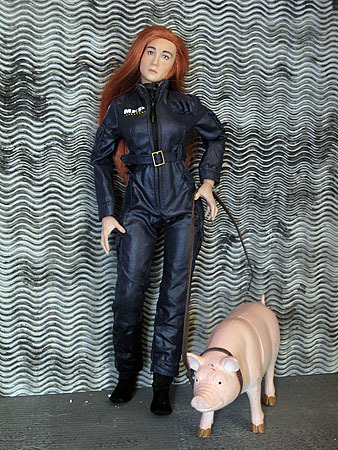 Comments Off	| tags: Triad Toys	| posted in Events, What's new? You are currently browsing the archives for the What’s new? category.